1. Theodore Roosevelt National Park scenic drive: Surely our 26th President would be proud of his namesake. He loved the badlands and advocated the protection of our natural wonders. Come drive a loop in the park, and you’re sure to fall in love with the North Dakota badlands, just as Roosevelt did so long ago. You’ll be able to step back and imagine the scenes that may have greeted him when he first came, complete with wild horses, buffalo, and prairie dog villages. Just be sure to drive slowly around the buffalo! 2. Wind Canyon at Sunset: Take a short, ten-minute hike off the loop in Theodore Roosevelt National Park to experience a truly beautiful sunset. It’s a great way to end a day of fun and adventure in and around Medora. Don’t forget your cameras! The scene is truly breathtaking. 3. Buck Hill at Sunrise: Early to bed and early to rise, makes a man healthy, wealthy, and wise! If you’ve been reading your Poor Richard’s Almanack and missed the sunset in Wind Canyon, there is still a beautiful view for you. Buck Hill is the perfect place to catch a sunrise! 4. 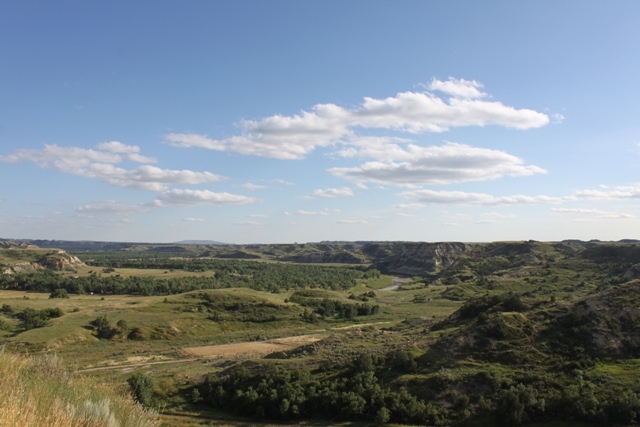 Roosevelt’s Elkhorn Ranch is now encompassed by Theodore Roosevelt National Park. It’s an amazing portion of the park, and surrounded by natural beauty. Once you drink in the visual aspects of T.R.’s old property, close your eyes and listen to the sounds of nature, free from the noises of modern hustle and bustle. You won’t be disappointed! 5. 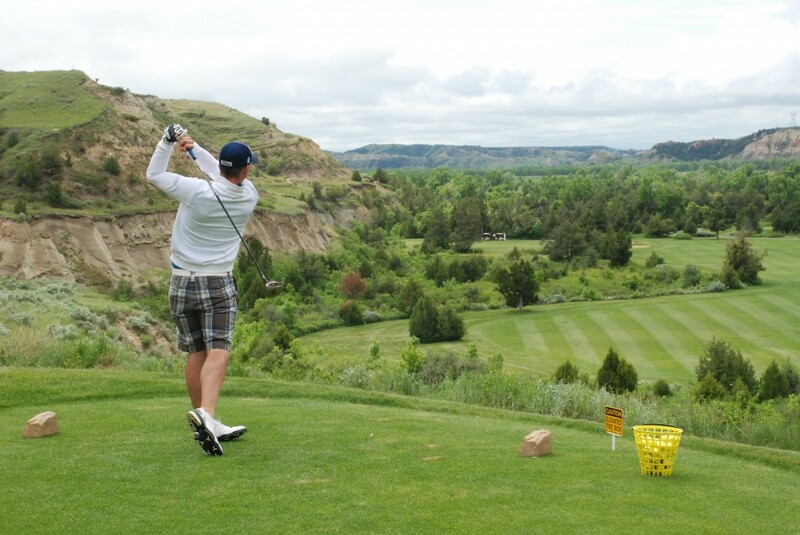 We in Medora are proud of the Bully Pulpit Golf Course! It features some of the best golfing in the west and was even ranked one of America’s 100 Greatest Public Golf Courses. The scenery is truly breathtaking – especially for our 3 signature holes: Peaceful Valley, Bully Pulpit, and Perched Rock! 6. Painted Canyon Overlook: One of the best views of the North Dakota Badlands! Take a short detour off of the interstate, and you’ll glimpse the buttes, scoria, and natural beauty of the area. You might even see a wild horse or two! 7. The Chateau de Morès: The Marquis and Marquise certainly knew where to build their Chateau. Their view of Medora was unrivaled. Come see Medora from the vantage point of her founder! 8. Medora is surrounded by marvelous buttes, and a good, strenuous hike is just the sort of thing Roosevelt would enjoy. Come hike one of those buttes to get a new perspective on Medora. 9. 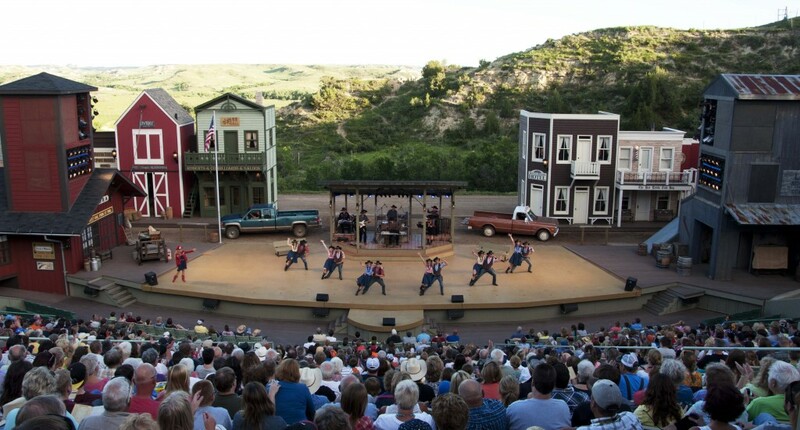 On your way to the Medora Musical? Take a right off the path and you’ll get to Medora’s cemetery. 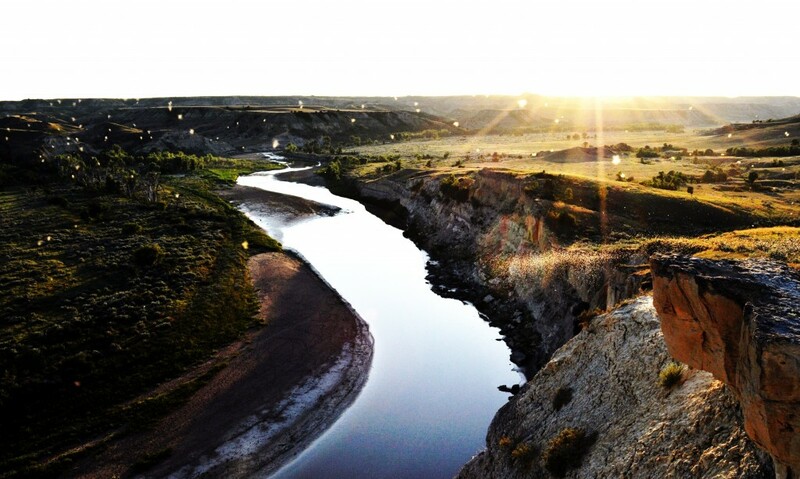 It’s a peaceful resting spot for many Medora residents, and offers another great scenic view for those who visit. The view from the flagpoles is a sight to behold! 10. 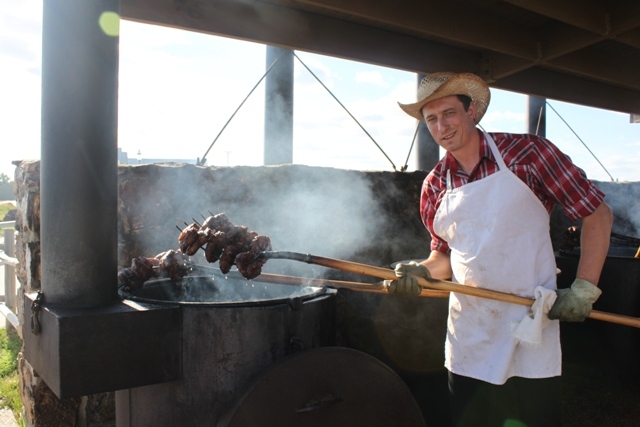 Tjaden Terrace Overlook: After or during the Pitchfork Steak Fondue, be sure to take advantage of the view before going to the Medora Musical. 11. There’s no more authentic way to explore the Badlands than on the back of a horse across a primitive trail. For a truly western experience, come on a guided tour of the badlands on the Medora Riding Stables Trail Rides! 12. Burning Hills Amphitheatre – What better venue to experience the Greatest Show in the West? The Burning Hills Amphitheatre is nestled into the beautiful badlands that captivated the Marquis de Morès and Theodore Roosevelt. The scenic view lends itself to the Medora Musical, both as a backdrop and as a part of the set.